Friday the thirteenth… A day that many fear. Fortunately, not for us. 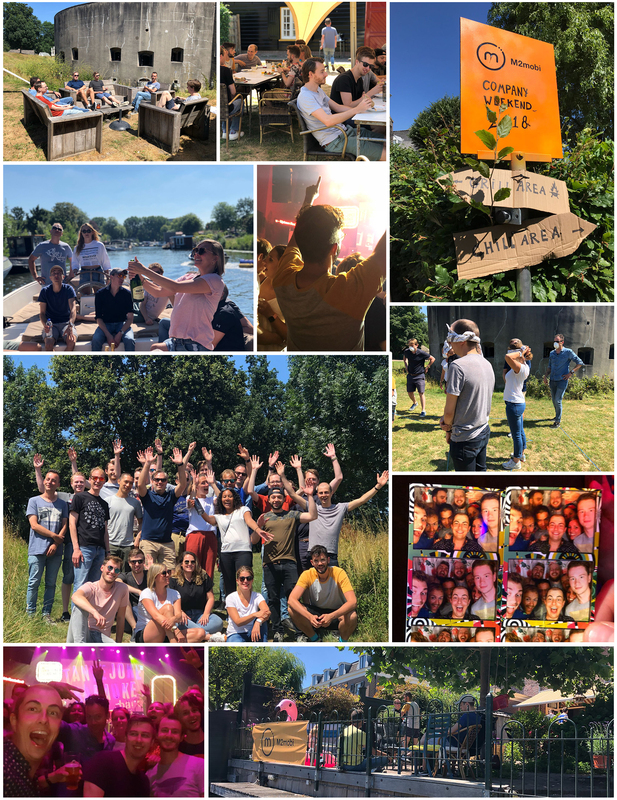 It meant the start of our annual Company Weekend, a weekend in which we get to know each other better, celebrate our successes and above all enjoy a lot. We started our day early and left with the whole team from Amsterdam to Utrecht. We arrived at ‘Fort aan de Klop’, a historic location on the Vecht, a beautiful river through Utrecht. We kickstarted our day with an interesting workshop about behavior. Under the guidance of a professional trainer we learned how better insight into our behavior can help us to add more detail to one of our core values ‘Dare to Excel’. After the workshop, our quizmasters Michiel and Frederiek took over. They brought in some new energy by letting the team compete for the M2mobi Award. Halfway through the day we went to Oudaen, a monumental city castle, brewery and restaurant in the center of Utrecht. A tour through through the brewery, a refreshing beer and a delicious dinner asked for more... It asked for a great karaoke night in the Tivoli. The rest is history. Despite our short night, a a few of us managed to gather for an early morning run. While the rest of us awoke after a nice first day, the breakfast got prepared. After our morning meal we were picked up for a relaxing boat trip through the Vecht. Final destination: the garden of Michiel, our Creative Director. After a delicious BBQ, a splash in the water and a last drink we returned to Amsterdam.